Linda Crill is a sought-after Washington DC consultant and motivational speaker who has worked with Citigroup, Cadbury-Mott’s, Goldman Sachs, Marriott International, Inc., and several other Fortune 100 companies, universities, non-profits, and government departments and agencies. In Blind Curves, Crill describes her unusual road to reinvention and shows readers how they too can answer “What Now?” Blind Curves is available at www.amazon.com and other online retailers. To get to know Linda and enjoy the complete interview experience, watch the video, listen to the MP3, or download it for listening on ITunes. The unwanted, unexpected, unknown happens in all of our lives. When it does, we go through a period of mourning, but there’s a time when it’s time to move forward again. Linda listened to all the professional advice but it wasn’t working for her. Finally, 18 months later, she decided to do the “most opposite thing” she could think of. She decided to learn to ride a motorcycle. 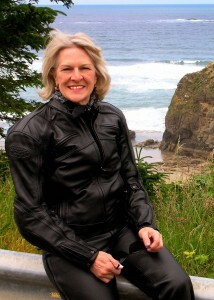 At a meeting with a friend the very next day, she learned he was organizing a motorcycle trip along the west coast. It was a sign. Waiting until 30 days before the trip, she decided to take the advice she’d give to a corporate client: doing more of the same and expecting different results is insanity (Einstein). She walked into a Harley-Davidson store and signed up for a 3-day course. In spite of feeling overwhelmed at the dealership, she pushed ahead and took the course. All went well until the very last exercise, when she crashed and knocked herself out. 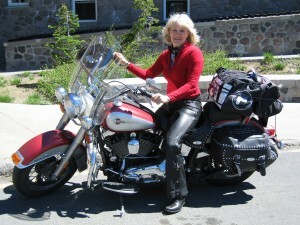 Determined to succeed, she went to Department of Motor Vehicles attempting the test on a borrowed, full-size Harley. It took 3 more fails before she eventually passed. 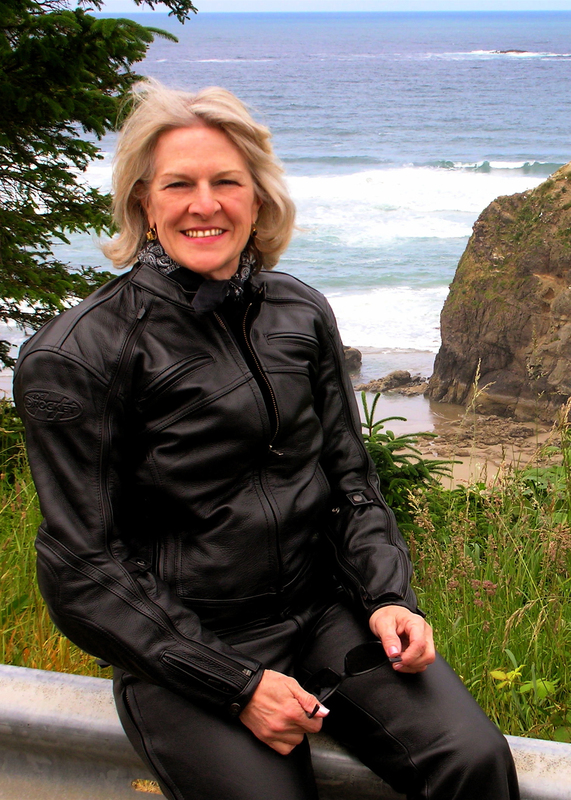 Almost immediately following that, the group flew to Vancouver, she got on another motorcycle, bungeed on 50 pounds of luggage on a bike that she’d never been on and found herself navigating rush hour traffic in downtown Vancouver. 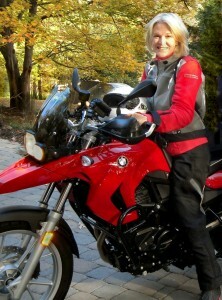 Linda had been a corporate executive and never ridden a motorcycle. However, this was a completely different setting and widened her world considerably. She’d also been the caregiver for husband, friends and family. This was the 1st time in 18 months she was doing something for herself. Even what we think in the moment is so terrible, has benefits for us. 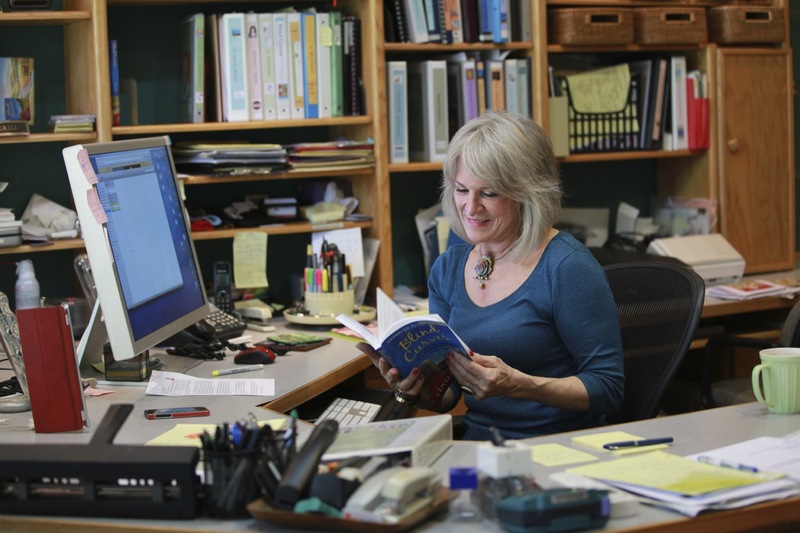 There are so many treasures that are there in life if we keep looking for them.All the hours of practicing of failing, re-failing was probably what saved her life with all the work on slow-speed skills. If she’d passed first time, she would likely have had a tougher time on the trip. We all want to be joyous. She tried all kinds of things, but none of that brought real joy. But if you face something you’re afraid of, go into that fear and find out you can do it. The day she got her motorcycle license she was SO happy. She describes the example of crossing the Columbia River Bridge. It was terrifying but once you’re on it, you’re committed and have to get yourself across. The happiness you feel when making it comes from the inside. You learn there is no reason to be afraid, there has to be a way to find a way through it, not knowing what you’re going to find – but it will be different. If you take enough Blind Curves,y our horizons get so much bigger. In the corporate world, someone else is telling you what to do. It’s hard to have that same discipline for ourselves. This she was doing for herself. After telling her friends and colleagues what she was doing, she had to follow through and be successful. Most of all, she had to prove to herself that she could do it. After going through tremendous losses, we need to learn to trust ourselves again. Sometimes it’s only one foot at a time, or the first blind curve, and then see what’s possible. Then take the next step or go around the next blind curve. Repeat. Trying something new as adults, and being successful builds self-esteem – especially if it’s something you’ve been ashamed of (like not being able to ride a bicycle). After her husband died, she asked, “What could she do now, that she couldn’t do before?” She started ballroom dancing. We have to find something that continuously makes our heart sing. It can be anything, but we have to get out of the walls we use to define us. Then we have more choices and more sources of joy – and a whole new group of people. She’s now comfortable with people she wouldn’t have dreamed of having common interests with. Seeing her in Starbucks, they also likely would have shunned her in her corporate attire. We discriminate against others because of how we define ourselves. Erase the boundaries and we have such heart-warming, different experiences. Her daughters have been strong supporters. She was concerned about them should anything happen to her. She minimized risk by taking the safety course, wearing all the gear, all the time. There’s danger in everything you do, you just have to be smart about it. We all need to be inspired, to know there’s hope no matter what’s in front of us. 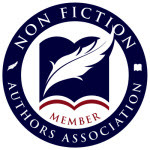 We all need the stories, which make us feel good, show us that there’s good news out there. Each of us has those things where we could have tried but we didn’t. Maybe it’s time. If you try something new and fail up front, that’s a part of learning. Children learning to walk fall down many times before toddling away. We forget its part of learning but we learn to do things differently. If she judges someone for a choice they’ve made, it’s almost like it happens the next day in her life. How to get around your own Blind Curves. Chunk it down into manageable pieces. Linda always had a contingency plan. Start small, but keep the perspective of the thing you want to do. The hardest part of any program is the first step. It was easy to sign up for a motorcycle training course, but then she took the next step. Friends that hold you to your word are important too. 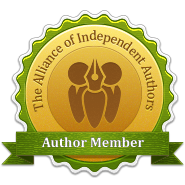 Continuous single steps are essential, as is celebrating your success. Listen as she applies that model to dating. For more information on Linda Crill, visit her website at www.lindacrill.com. 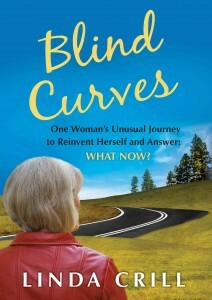 Blind Curves is available at www.amazon.com and other online retailers. Keep on keeping on Linda Crill.